“We fought the good fight; we just didn’t win,” Republican House speaker John A Boehner said on Oct 16 after the US Congress voted to end the government shutdown. Australian Prime Minister Tony Abbott, in declaring the end of Australia’s mission in Afghanistan, said, “Australians do not fight wars of conquest, we fight wars of freedom” (Oct 29, The Australian). Jagir Singh stresses the word Allah has been used by Sikhs for more than 6 centuries. The Malaysian Insider pic by Nazir Sufari, October 16, 2013.Sikhs will continue to use the word Allah in their religious practices as the word appeared numerous times in their holy scriptures, said the Malaysian Gurdwara Council president Jagir Singh. “There is no way the word can be excluded since it is found in the Guru Granth Sahib, just like in the holy Quran for Muslims,” he said, adding that Sikhs throughout the world has used the word in the past six centuries. Najib, seen here at a Christmas party last year, must stand up to the extreme comments from groups like Perkasa and Jati, say local Christian leaders. The Malaysian Insider pic, July 13, 2013.Christians have had enough of the bashing from the likes of Perkasa and other Malay rights groups. 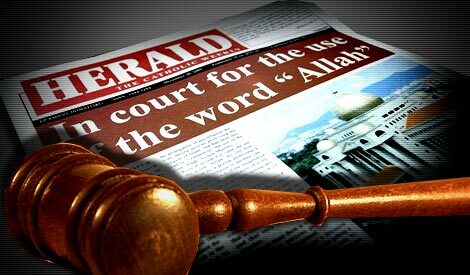 They expect Prime Minister Datuk Seri Najib Razak to intervene and “do the right thing” by rejecting such extremism. Amid the cacophony that followed hard upon Perkasa chief Ibrahim Ali’s call to Muslims to burn bibles that use the ‘Allah’ term for God, one was hard put to find a reaction and a reminder more bracing than what emerged from the Penang state minister for religion. Federal Islamic authorities were accused of fuelling Muslim-Christian tensions with the latest Friday sermon. A Buddhist group today urged the federal government to resolve the drawn-out dispute over the usage of “Allah”, which has caused division and anxiety between Muslims and Christians here. Pentecostal Churches of Malaysia representative Bishop Robert Judah Paul also expresses resentment against Perkasa chief’s Bible burning plan. 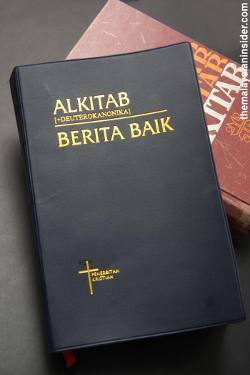 Perkasa’s plan to burn the Malay edition of the Bible, which carries the word “Allah” to refer to God, is equivalent to burning churches, the Pentecostal Churches of Malaysia representative Robert Judah Paul said today. And the weather seems to be of similar mind and mood. Outside the rain is pouring down like the tears of heaven, as if in sympathy with those of us spending this day reflecting on how far the human race has – and hasn’t – come since the birth of Christianity.Christmas Day, Sydney, AD 2012. And just for once, with my wife and daughter away on well-earned holidays in Malaysia and the rest of my family elsewhere around the world, I’ve decided to turn down kind invitations from friends to include me in their celebrations in favour of some solitary cerebrations. HOW does one insult Islam in Malaysia? And how does one insult Muslims in Malaysia? Over the past few years and increasingly over the past months, the state, politicians and pressure groups like Perkasa have demonstrated just how to do either one or both. For the most part, these incidents are an insult to Muslims in Malaysia, rather than to the world’s fastest growing religion per se. Here’s my take on how these groups have been giving lessons to the nation, and to the world, on Insulting Muslims 101.